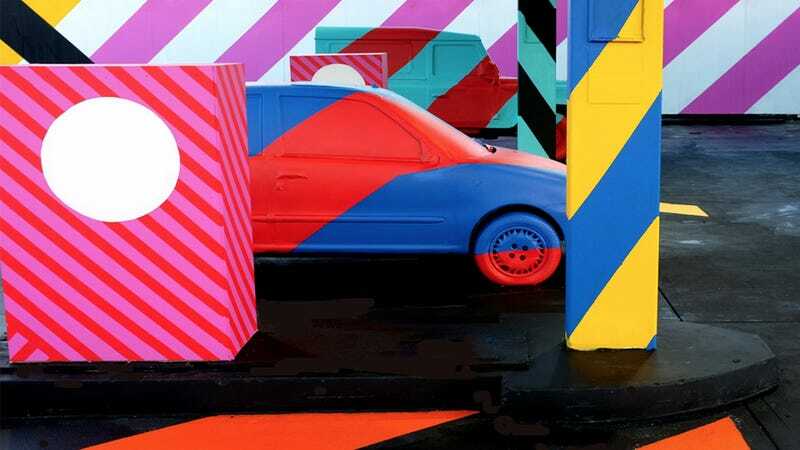 If you've ever wondered what it would be like to live in cartoon, consider visiting Limerick, Ireland—where a street artist recently turned a broken down gas station into a full-fledged color party. Maser himself told the local paper that he "creates work that surprises people and questions their relationship with the familiar and the norm, also how dissociated we are from the space around us." He added, "Questioning this is a positive thing."